Exactly what is happening in those photos of GE Transportation? 1. Attendees were greeted by a strong brand presence and welcomed into a surprising digital experience amidst all the iron. 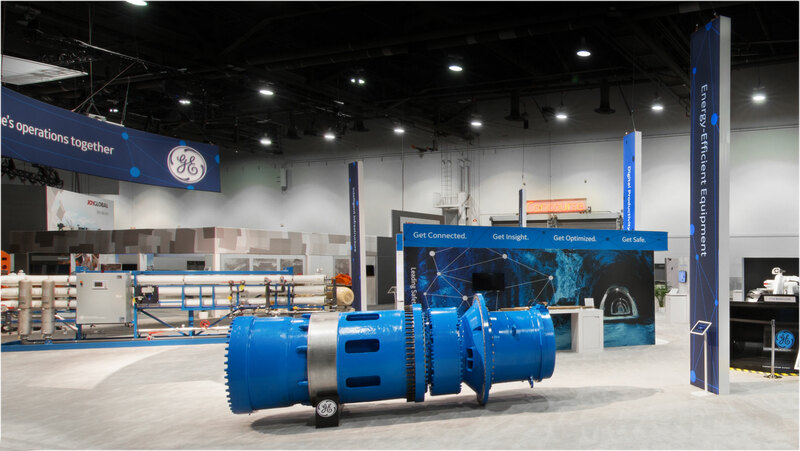 This supported GE's message of "Digital | Industrial." 2. 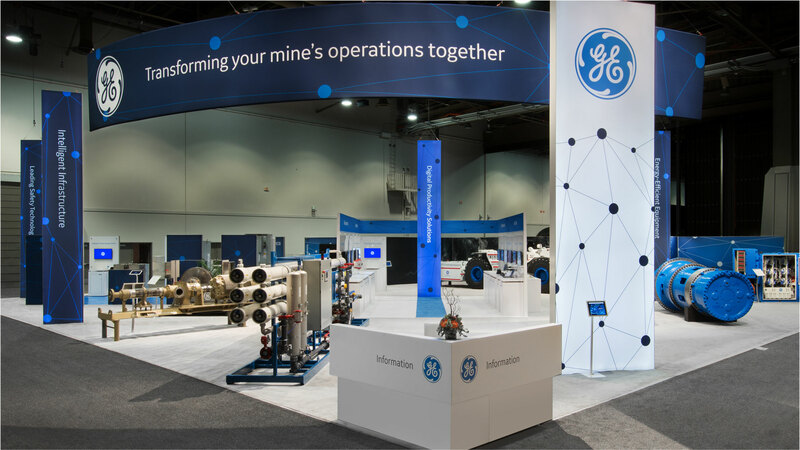 Looking from a distance these multi-ton pieces may appear like tons of iron but GE imbues them with an ability to join in the conversation on the Internet of Things (IoT). 3. This view of GE’s "E-House" has all the walls removed. 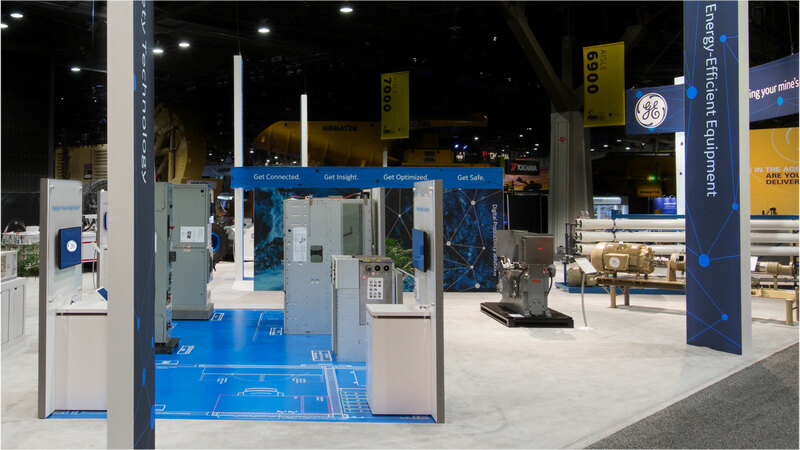 Visitors were invited to step onto a custom “blueprint” floor plan showing how compact and complete this ready-to-go electrical control center is—fully ready to deploy to any remote mining site. 4. 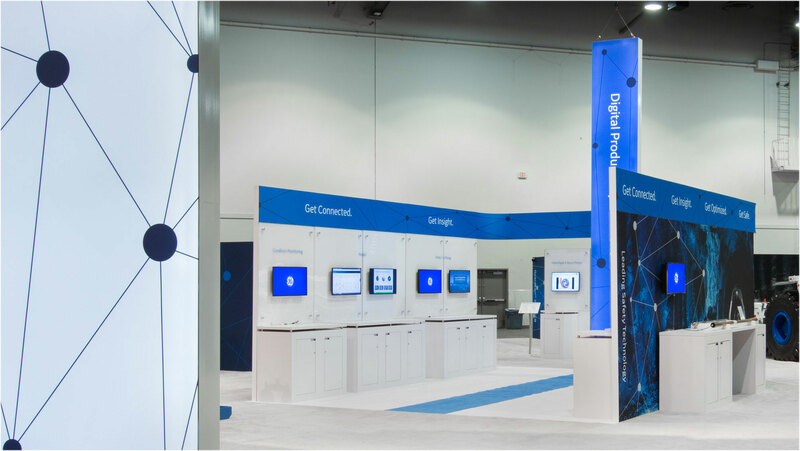 Central to the surrounding iron and acting as a nerve center to showcase connectivity and feature safety software was a DIGITAL HUB with digital displays from all the demos across the booth.